John comes to Sextons Creek with an extensive Medicaid and Medicare background, from both the provider side and the compliance side of the federal programs. 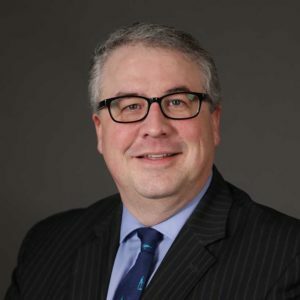 He led Indiana’s efforts in this area as the Medicaid Provider Relations Director, Chief of Staff of the Professional Licensing Agency and most recently as the lead of Indiana’s efforts at combating Medicaid waste, fraud and abuse as the Medicaid Program Integrity Director. Through collaborative efforts with all Medicaid stakeholders John was able to direct the State of Indiana’s efforts to obtain a 100% compliance with all Federal & State regulations. A recent CMS audit of Indiana confirms this compliance, a first in state history. He negotiated and implemented new contracts to provide oversight of Medicaid Managed Care and the States’ Fiscal Agent, recovering the most Medicaid dollars related Fraud, Waste & Abuse in program history. The reforms in Indiana’s Medicaid Fraud, Waste & Abuse efforts have become a model for states to use as they move from a Fee-For-Service environment to a Medicaid Managed Care environment of Compliance Oversight. These successes have brought about many collaborative efforts with other states and the federal government. Setting up positive relationships with all stakeholders, including the Centers for Medicare & Medicaid Services (CMS) was a keystone of his efforts. This greatly assisted with the implementation of Medicaid Managed Care compliance oversight and the implementation of the new Medicaid Pharmacy oversight and Pre Payment Review processes. Working with Indiana’s partner at Medicaid Fraud Control Unit with the State Attorney General’s Office, John was able to implement a new Medicaid Data Mining contract, funded by the federal government – one of only six in the United States to do so. John was the longest serving Program Integrity Director in program history.